“Worlds is coming up, time to buff Janna” – Riot, probably. Well, we thought we’d get lucky this year for Worlds, but Riot hates making people happy, so that’s not happening. Riot claimed in a recent post on the official League of Legends forums that Janna (yes, the Janna that completely strangled the meta during Worlds last year) needed a buff in time for Worlds this year. We’re definitely, 100 percent overreacting here, and we don’t think Riot hates anyone or has plans to make Janna as OP as she was last year. That being said, we still certainly don’t think she needs a buff, either. 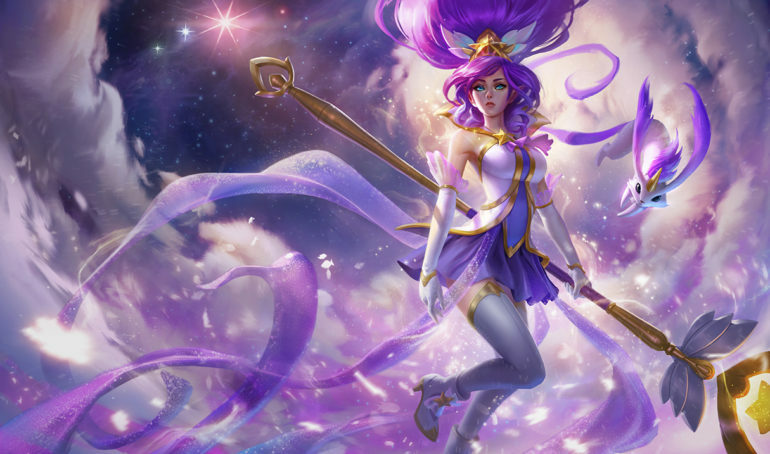 In the post, lead designer Andrei “Meddler” van Roon says that she’s too weak, specifically considering how strong she used to be, so that she’ll probably be getting a buff in Patch 8.19, the Worlds patch. There are two problems with that. We really don’t think it’s a good idea to justify a buff to an extremely-volatile champion just because they used to be better. This is especially true in this circumstance, because while Janna is admittedly weaker than she used to be when she was the only support champion being played, that doesn’t mean she isn’t doing alright. Janna was played only a few times this summer in competitive League around the world, but other enchanter supports saw some game time to balance it out. Janna, Nami, Bard, Karma, Soraka, and Lulu earned a combined 67 picks, and if you want to include Morgana in as an enchanter (which is probably only half true), that number would jump up by 161. That’s not too low of a number, but they aren’t considered popular in pro play by any stretch of the imagination. Here’s the question though—why is that a bad thing? Enchanter supports, with Janna as their queen, are extremely dull on the skill expression meter. Since they get extreme value out of their point-and-click heals and shields, that lack of skill expression matters more than in most other circumstances. Until a long-term fix can be implemented, like most heals and shields being converted into skill shots or made riskier in other ways, the effectiveness of those champions shouldn’t increase. Why? Because they’re bad for the game. They aren’t interesting, interactive, or entertaining, and the fact that they were mostly hidden from pro play this summer made the entire split more exciting to watch. So who cares if Janna isn’t played at Worlds? The bot lane meta would continue to be more fast-paced and rewarding to the better laner, and that’s not a bad thing at all.